Space vs. Taste – What Makes a Coffee Shop? – Eat Me. Drink Me. Oh! the irony of having found the most delicious coffee in the world but not served in the space that I needed. In my six months of searching, I only found one coffee shop that met all of my criteria. It astounded me that a country with such delectable caffeine missed the wonder of the all-purpose coffee shop. In an attempt to understand why every city, town, and hamlet in the US boasts an independent coffee shop, I started looking into the history of the modern coffee shop, and found, to my surprise, that it all began with Starbucks. Starbucks, founded by Jerry Baldwin, Zev Siegl, and Gordown Bowker, was originally a place to buy freshly roasted beans back in the 1970s, when most coffee came from poor quality beans mass-processed by companies such as Folgers or Maxwell House. By 1980, when Siegl sold his share, Starbucks was the largest roaster in Washington and had six retail outlets, and in 1982, when Starbucks hired Howard Schultz as head of marketing, it was primed for expansion. Schultz, however, had a radically different vision for the company than its owners. Baldwin and Bowker were committed to selling beans and reluctant to let Schultz pursue his dream of starting an Italian-inspired coffee house where people could either grab a cup on the run or stay and socialize. Baldwin and Bowker allowed Schultz to experiment in one Starbucks store with a small stand in the back of the shop. It was an immediate hit. Starbucks, with its deep green or maroon walls, pop art pictures of coffee beans and lattes, its dim lighting, is a soothing place to be, for some. For others, the repetition of design and of experience is nauseating. “I feel like a Starbucks–you get what you get. It’s always the same thing, nothing changes–you know what I mean?” says Megan, a barista at Courthouse Commons, an independent coffee shop in Carlisle, Pennsylvania. The cloned feel of a Starbucks is precisely what spurs many caffeine consumers to seek out local, independent coffee shops, where the baristas know “your” drink and the beverage list is artfully chalked up on a blackboard. While the catalyst for the existence of the coffee shops I so admire, Starbucks is no longer on the same level. Its aggressive expansionism, mechanized beverage production, drive-through windows, and exaggerated prices have made it the symbol for corporate America. 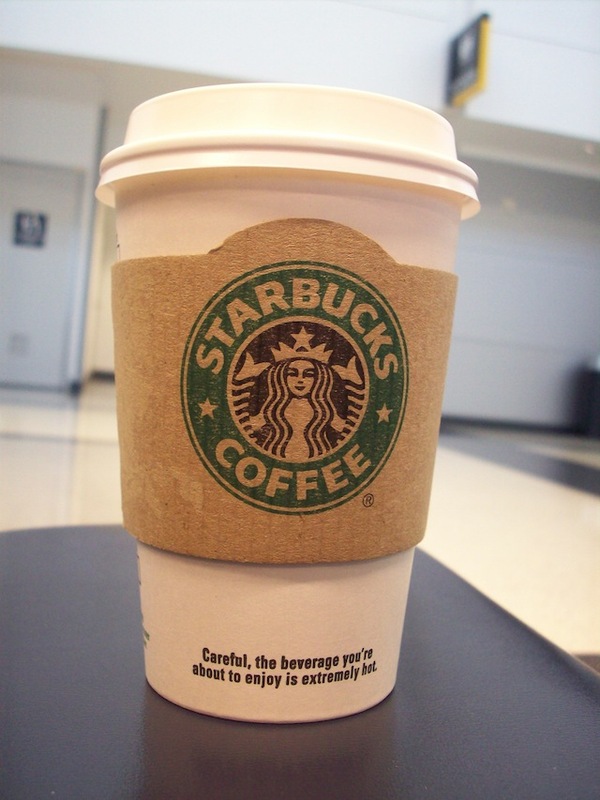 Starbucks is a relatively new phenomenon in Australia. Perhaps in ten more years, it won’t be so hard to find a coffee shop where I can plug in my laptop and write for hours. But maybe that change will also mean a change in the quality of coffee or the replacement of the casual, sit-down cafés for grab-a-cup-and-go sort of places. It’s a tough call, but I tell you that that cappuccino on Lygon Street would be a sad thing to let go.